Brent is a member of the firm’s Real Estate, Development & Construction team. He has extensive experience in construction contract drafting and litigation. 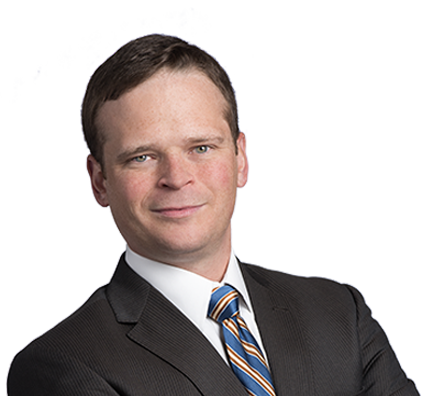 Brent has represented government entities, business owners, general contractors, suppliers and subcontractors in civil disputes and lien claims. He also represents political subdivisions by assisting in a variety of issues including regulatory compliance, contract negotiations, property acquisitions and condemnation. Prior to joining Husch Blackwell, Brent practiced in Atlanta, Georgia for eight years. He represented various entities and individuals in pre-litigation negotiations, mediation, throughout the litigation process and arbitration. In addition, he assisted with multiple cases before the Georgia Court of Appeals and Supreme Court of Georgia that have resulted in the enforcement of certain limitation of liability clauses for design professionals performing services in the State of Georgia. Successfully represented an architectural firm in an arbitration where the owner alleged professional negligence and breach of contract, claiming more than $3 million in property damage. Successfully represented a civil engineering firm in an arbitration where the owner sought reimbursement for more than a million dollars in change orders issued to the general contractor. Obtained summary judgment for a landscape architectural firm who was sued for its design of a recreational area after a bicyclist was injured on the path and eventually passed away as a result of the accident. HNTB Georgia, Inc. v. Hamilton-King, 287 Ga. 641, 697 S.E.2d 770 (2010); Georgia Supreme Court upheld trial court’s order excluding the plaintiff’s expert and granting client’s motion for summary judgment in a wrongful death claim. Precision Planning, Inc. v. Rickmark Communities, Inc., 298 Ga. App. 788, 679 S.E.2d 42 (2009); Georgia Court of Appeals enforced a limitation of liability clause contained in client’s contract which capped client’s potential damages in underlying lawsuit. RSN Properties, Inc. v. Engineering Consulting Services, Inc., 301 Ga. App. 52, 686 S.E.2d 853 (2009); Georgia Court of Appeals enforced a limitation of liability clause contained in client’s contract which capped client’s potential damages in underlying lawsuit. Negotiated numerous contractual agreements for owners, contractors and design professionals in the construction industry. Presented on numerous occasions to construction industry owners and professionals regarding risk management, ethic and legal obligations and contract negotiations.